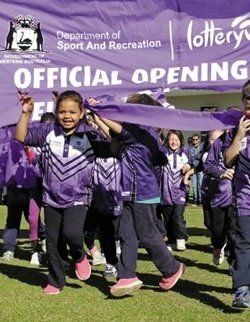 The long-awaited northern sporting fields and pavilion at Ellenbrook District Open Space are now officially open. Ellenbrook’s local sporting teams can now make full use of the Ellenbrook District Outdoor Space northern playing fields. The brand new facility has more than enough space for two full-size AFL ovals and five junior AFL ovals, music to the ears of the ever expanding Ellenbrook Dockers JFC. The Dockers are also enjoying a brand new pavilion that has meeting rooms, change rooms, clubrooms, bar and catering facilities. Ellenbrook Eels Football Club and Junior Club Ellenbrook Dockers will soon start using the oval for training and match days, which is a welcome change to their old facilities at Coolamon. 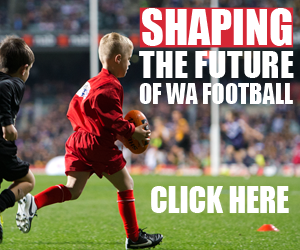 Premier Colin Barnett said at the opening ceremony the complete projects would form one of the best and most comprehensive sport and recreation precincts in the State. 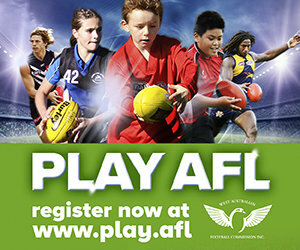 The opening of this new facility represents a great opportunity for not only the Royals District but the WAFL club as well, with state of the art facilities on offer it is expected that many more exhibition games and development squad trainings will be held in a community that has produced some top class talent in the last few years.